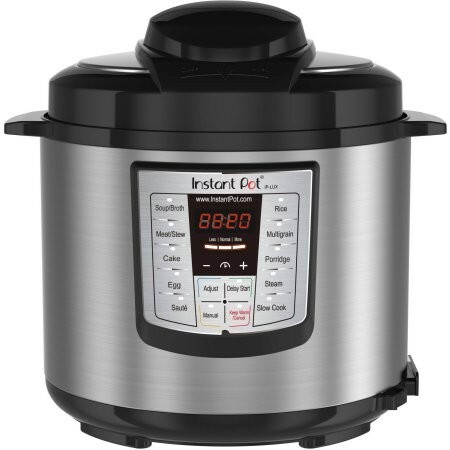 This all new Instant Pot Version 3 is a Six-Quart Multi-Functional Stainless Steel Cooker that can speed up your cooking, making it two to six times faster than standard cooking! 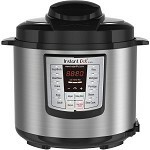 No more rattles and hisses, no more adjusting the heat, Instant Pot Lux V3 does it for you. 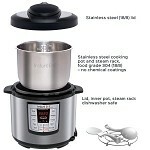 The new design of the electric pressure cooker makes it more energy efficient than other cookers, using up to 70 percent less electricity each time it is plugged in. 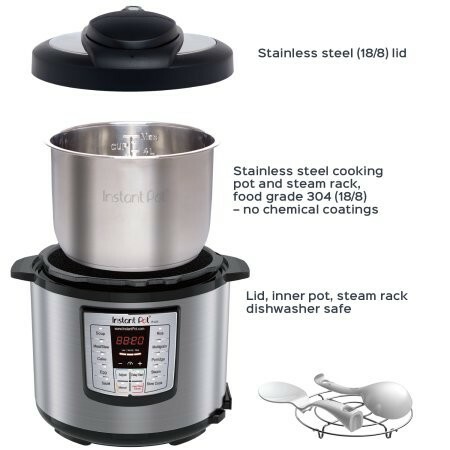 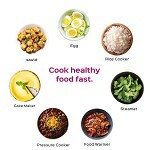 The Instant Pot pressure cooker is a versatile tool that offers a variety of cooking options within one single container. 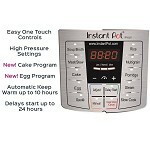 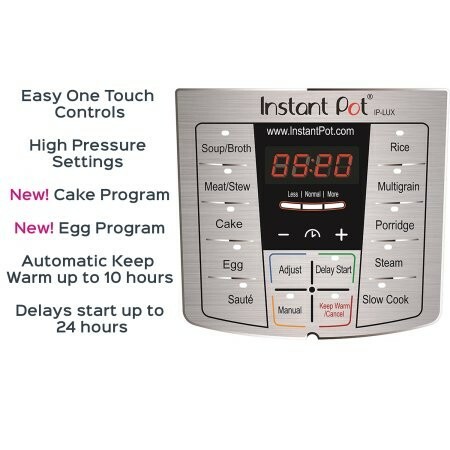 Use the pot as a rice cooker, steamer, slow cooker, saute, warmer or pressure cooker, now also features a cake cooking and egg cooking function simply by adjusting the settings!